Tonight is a night for nibbling. We start with a Spanish tapa, pan con tomate. 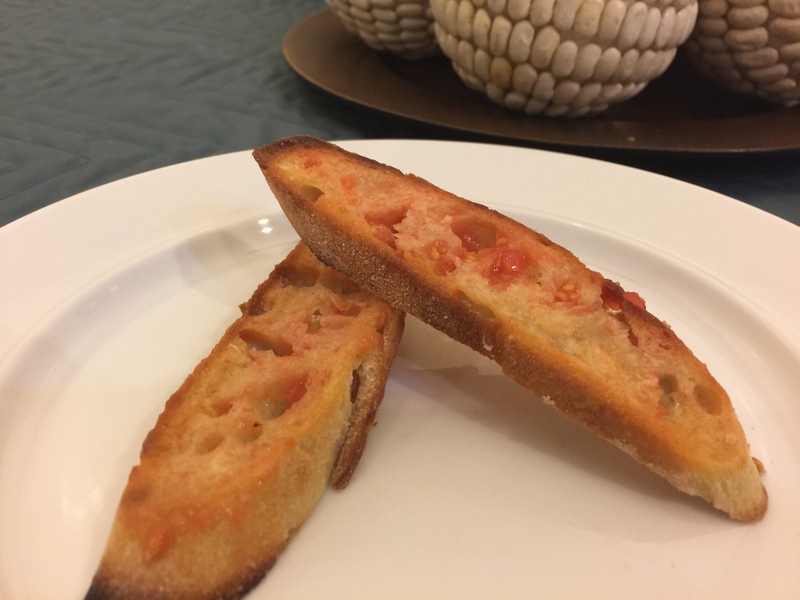 (Bread with tomato) We had this especially in Barcelona when we visited Spain back in 2010. 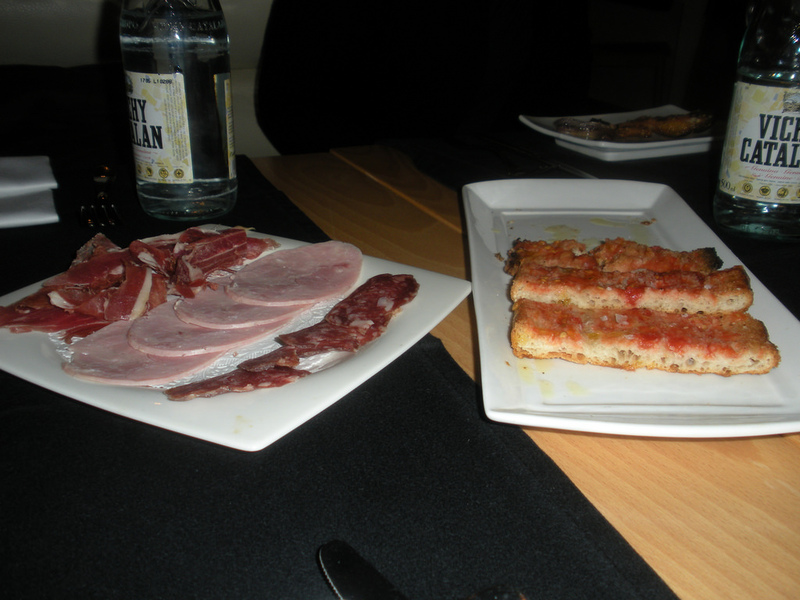 Here’s the picture of our tapas from the restaurant, Matamala. And here’s our pan con tomate tonight! It is much cheaper to vacation eating in our own kitchen! It is really simple, just rub some toast with garlic and tomato and brush with olive oil. Now we switch gears for a couple of pot stickers compliments of the frozen bag of LingLing Potstickers in our freezer. First you steam them in some water and oil and then after the water boils away, you brown the bottoms. 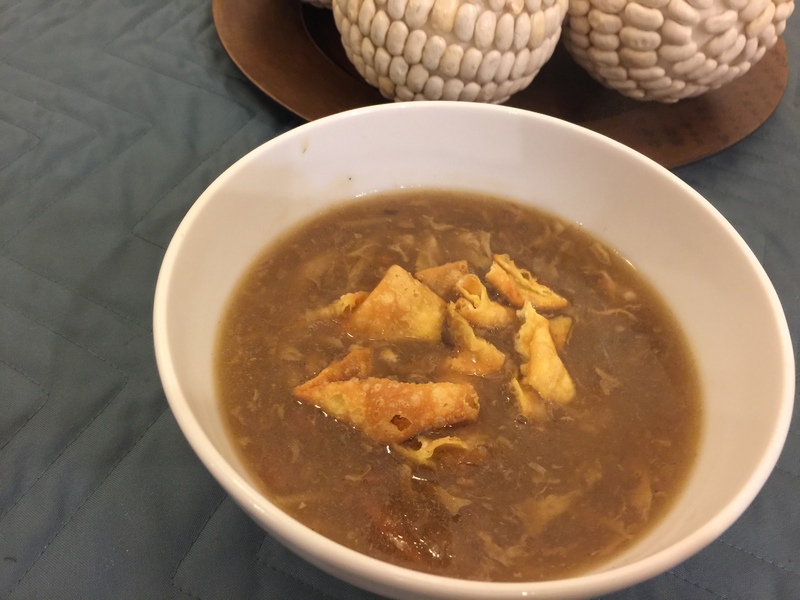 Finally we have hot and sour soup which is our planned-over from our Chinese dinner last week. The dinner tonight keeps us busy cooking and eating for a long time! 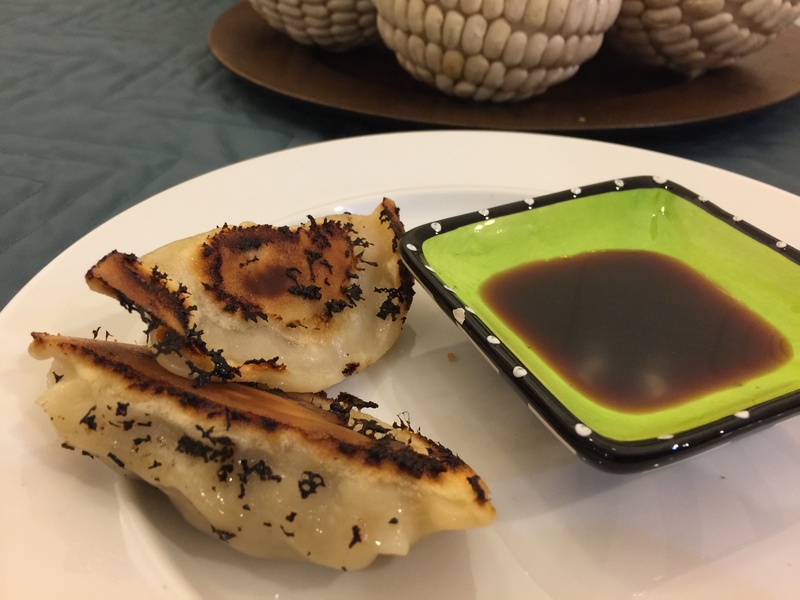 This entry was posted in leftovers, Pork, Uncategorized and tagged hot and sour soup, leftovers, Potstickers, tapas. Bookmark the permalink.